Respawn Entertainment surprisingly announced and released Apex Legends, a free-to-play Battle Royale game set in the Titanfall universe, late last night. As part of a pre-release event, Respawn Design Director Mackey McCandlish talked to GamesBeat. Among various things, he hinted that cross-platform play may indeed become available in Apex Legends later down the road. At launch, we’re on Xbox One, PlayStation 4, and PC. They play independently with their own independent progression. But they’re playing the same game. We’re not cross-platform at launch. It’s definitely an area of opportunity. Given the competitive nature of the game, this will require some consideration. On the other hand, Xbox One players are now officially able to use mouse and keyboard, which would make it a level playing field at least for them. McCandlish also discussed the monetization method of Apex Legends (which includes loot boxes among other things) and labeled it as very ethical. We’re not pay-for-power. We’re a very ethical form of monetization, where we’re giving away a lot of cosmetics that you don’t even have to pay for. If you do want to buy, you can directly buy, from the store, a limited-time item. You can earn the characters in the game or you can buy them. We’re shipping with eight. Six are free and two are earnable. It’s a balancing act, but we knew we didn’t want to be pay-for-power, pay-to-win. I think we’ve demonstrated with our previous games that we care about having an ethical, transparent relationship with the consumer. We did free DLC maps for Titanfall 2. When the competition was already going pay-for-power back then, we didn’t do that. I think this continues that trend, and I think it’s true to Respawn’s ideals of having a fair relationship with the consumer. 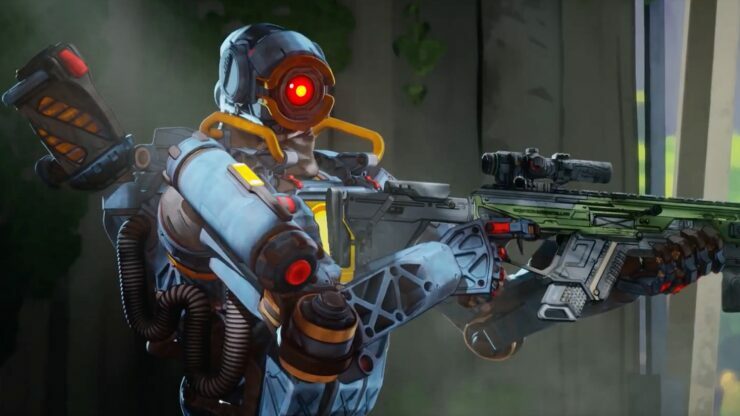 Did you play Apex Legends and if so, what’s your opinion so far?